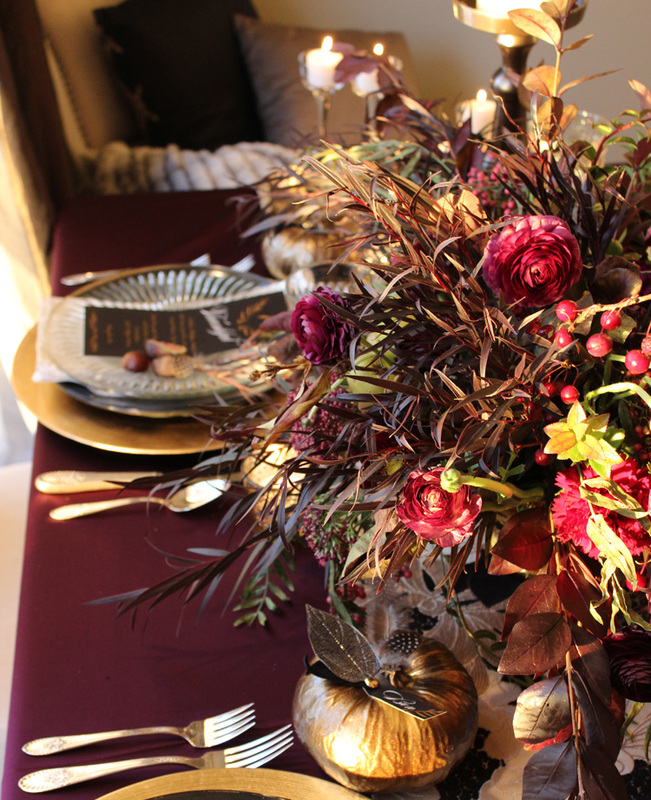 For those looking for last-minute Thanksgiving table inspiration today, I have a little holiday shoot from the archives I created with BLOOM floral design in our Petoskey studio a season or so back that I’d love to share with you. 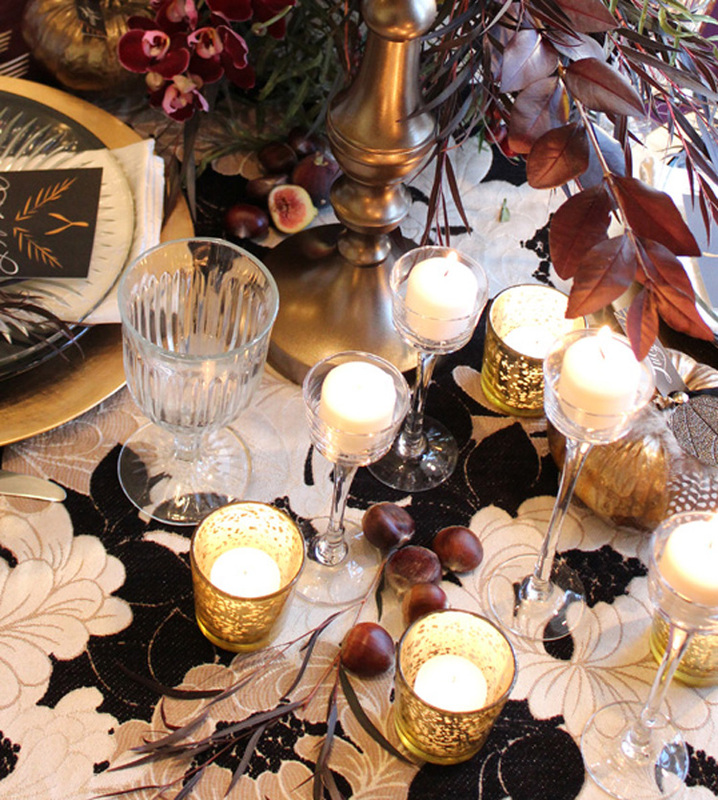 Taking a little break from the traditional harvest colors, I paired dramatic black and cream velvety fabric with glistening mercury and glass candlelight. 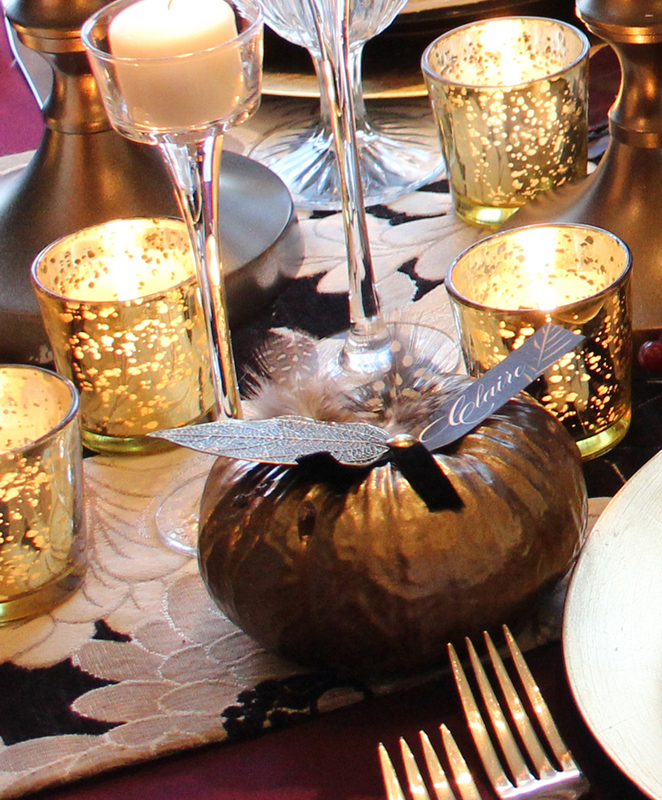 Each place setting featured a gilded gold pumpkin, tacked with a personalized seating card and flat black dinnerware paired perfectly with cut crystal accents. The stunning jewel-toned floral took center stage while the sliced figs and fruit embellishments became delectable edible table accents. Create a focal point with fabric: Find an interesting pattern or textured fabric at your local craft store and layer with an existing tablecloth or use as a runner or an asymmetrical drape with corners hanging off the sides to add dimension and interest to your table. No sewing required. You can just snip and tear edging to size for an organic frayed finish or use peel and heat adhesive with an iron for a clean finish. I love doing both based on the style of the event. Go big with candlelight: Mix up your containers and even add naked pillars to the table for a dramatic and unintentional variation to the standard votive presentation. Add edible accents: Pick up fruit and nuts that coordinates with your table decor and scatter for a charming and filling accent. I personally love incorporating apples, oranges, and pears to my tables when entertaining on the fly. 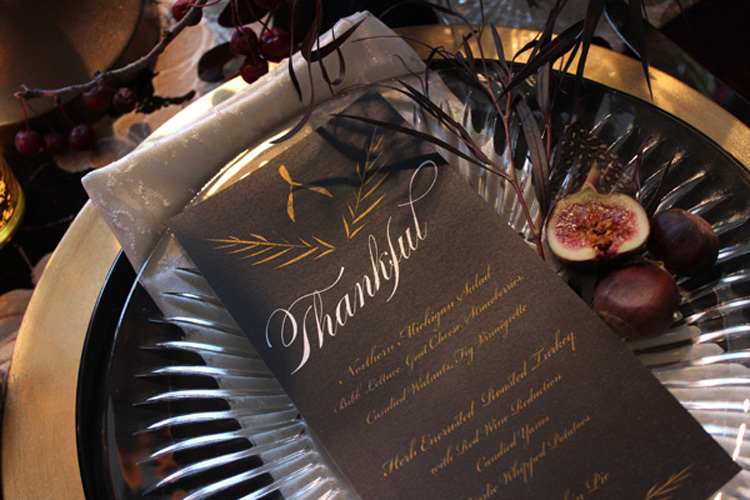 Add personalized papery: There are so many free printable websites out there with amazing templates but if you are in a hurry, a handwritten menu and seating card are just as lovely and even more personal. No premium paper necessary, I have used recycled kraft paper bags, cut to size with metallic sharpies and it comes out amazing! Last but not least, drinks on the table: I LOVE wine with dinner and love decorating with bottles mixed in as decor. However, if you are not serving wine, you can have the same effect with clear or colored glass bottles (Pellegrino is my favorite) or water pitchers with fruit for added color. 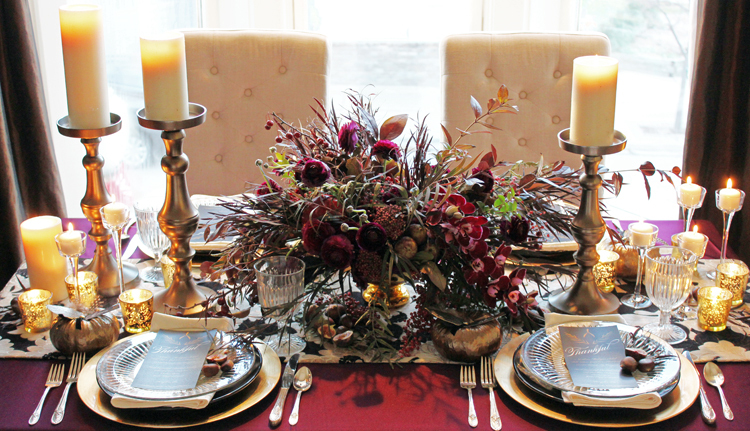 I hope this little bit of last-minute inspiration helps with your holiday entertaining! 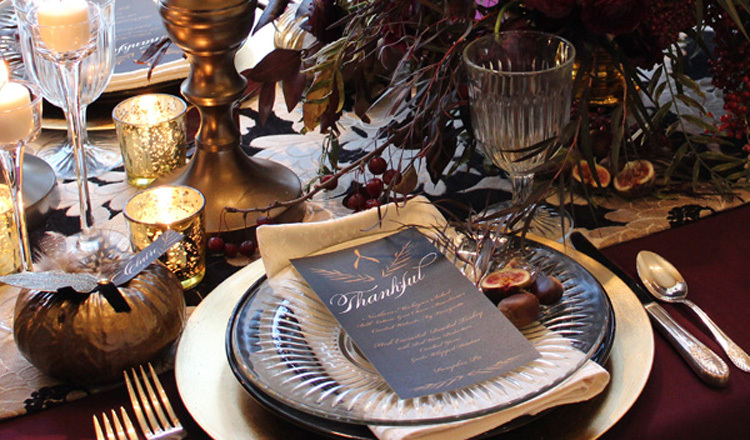 Wishing you an amazing Thanksgiving holiday with loved ones this year!